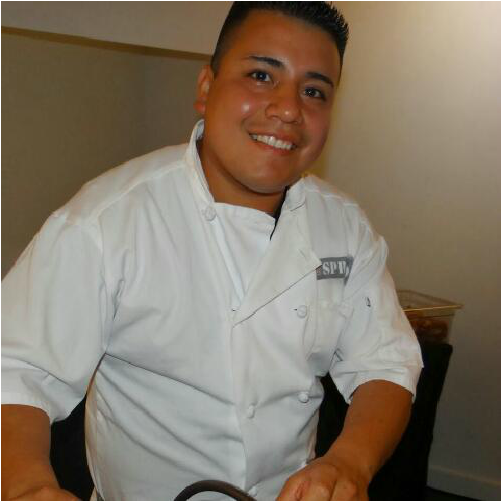 "Carlos Baez" Best International Foodie Chef in Fairfield County, CT! 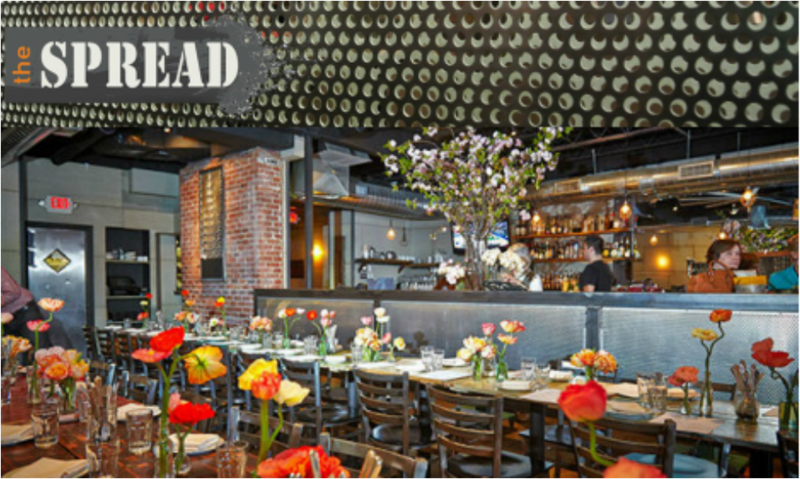 Executive Chef at "The Spread" | Best Creative Cuisine | The Spread | El Segundo - FAIRFIELD COUNTY "IT!" How ​ did you become such a fabulous international foodie chef? "I was born and raised in Mexico City. I started with Mexican cuisine when I helped my father in one of his three taquerias after school. After that I cooked at a Japanese restaurant. I moved to the States in 2000. I learned everything about fish when I was the sushi chef at Seaside Johnny's in Rye, NY. Off to a french restaurant La Panetière. 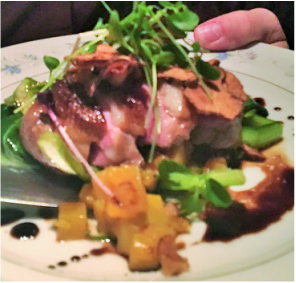 Next a more farm-to-fork approach at Napa & Co. in Stamford. Along with the change in location came yet another change in title, I was now Chef de Cuisine. It was there that I perfected all the tools necessary to lead me to my current position as Executive Chef at the Spread. 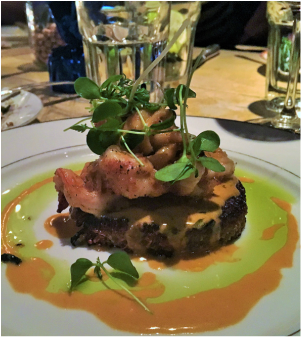 My extensive, varied background serves me very well in creating the dishes on the Spread's ever-evolving menu...influenced by all culinary corners of the world!" and a second place nod for Overall Excellence. ​Brunch creations also took third place, a very tough category!" Your ​ food is so delicious!! I brought over 20 people for dinner and you knocked the ball out of the park with delicious cuisine! Wow! "BEST OF THE BEST ROASTED SHRIMP"
paired perfectly with the tender roasted shrimp! A delightful combination - sweet tart hot pork yum! 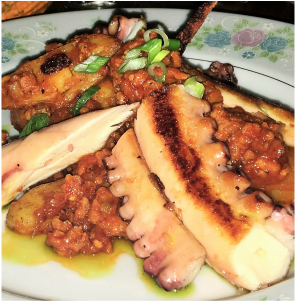 The perfectly prepared octopus contrasted well with the taste and texture of the ground chorizo and soft spuds! DEPENDING UPON SEASON AND CULINARY CURIOSITIES.